'The Murderer's Maid' interweaves the stories of two women: one, the servant of infamous Lizzie Borden, and the other a modern-day barista fleeing from an attempt on her life. 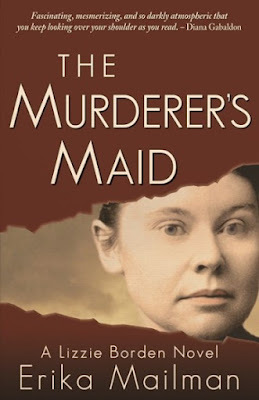 Having prior knowledge of the Lizzie Borden case from childhood (I was a morbid child), I was delighted to be asked to review 'The Murderer's Maid'. Mailman really brings Lizzie to life in a very uneasy way. As a child I'd look at her photos and think how eerie she appeared, obviously this was not helped by the quality of the images of the time, but she always struck me as an uneasy person. She comes across exactly how I would have imagined her to, and it is a credit to Mailman at how deftly her characterisations of Lizzie, and the strained life in the Borden household are brought painfully to life. If, like me, the reader knows what happened to poor Andrew and Abby Borden, the lead up to it is almost agonising. It's an anxious read, there really is no other better word. Life with the Borden's from to start to finish is painfully anxious. Poor Bridget had no idea what she was letting herself in for when she began working for the Borden's. Bridget just wants to make enough money to help her family back in Ireland and perform her daily duties. I get the sense that Lizzie was jealous of the freedoms allowed to Bridget - when she went to a dance on her day off, and took great pleasure in trying to unnerve Bridget. On the flipside of the timeline we meet Brooke - who if I'm honest I was not invested in. Her backstory was not as interesting to me as the other half of the book, and the links to Lizzie seemed tangible, and predictable at best. I think that it is just my taste in the genre though, I very rarely find interest when there is another story-line running alongside the main theme of the book - in this case the Borden's. I did like that when Brooke went to visit to Borden House to stay she seemed to react to the macabre way it had been turned into a business - and because she had a direct, personal link to the Borden's, it made me see it in a light so much more removed from it just being 'the murder house'. It's a very real situation because the house has been turned into a B&B - it seems grossly morbid, and this is coming from someone who reads into a lot of cold cases of times gone by. Whatever failures can be seen in Andrew Borden for being a 'penny pinching miser', and Abby for daring to try to be a mother in the place of the deceased first Mrs Borden, they did not deserve the horrifically gruesome fate that befell them. 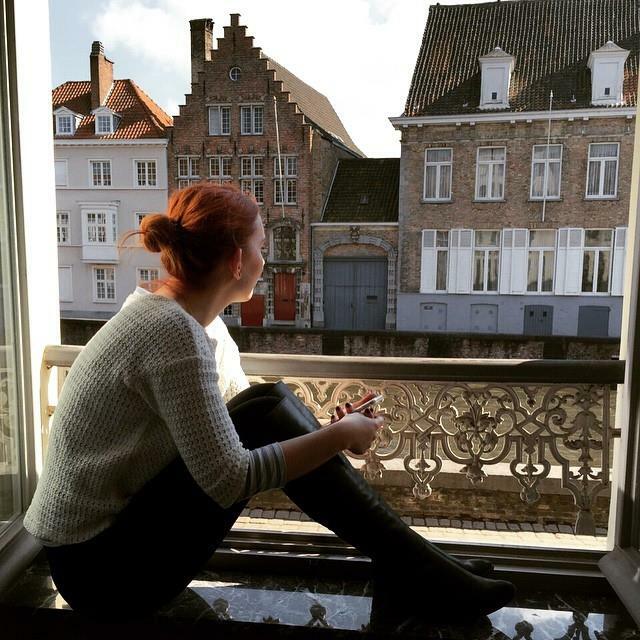 The writing throughout Brooke's story-line isn't bad, it's just I could not get into it. The thing with the brothers out to get her and the constant moving seemed far fetched to me, as she'd already had an eventful life. It just seemed unrealistic. That is my main criticism, though readers who enjoy cat and mouse thrillers will like the book for both Bridget and Brooke's journeys. I felt a deep sympathy for Abby throughout the book. I knew what was going to happen to her which made it all the more sadder. Mailman writing is captivating in the Bridget focused part of the book, and she is extremely effective at creating the world and suffocating atmosphere that surrounded the Borden's and those connected to them, in the years leading up to the murders and then the immediate aftermath. She leaves it up to the reader to deduce if Lizzie Borden really did take the axe and give her father and stepmother many whacks. For my part I have always thought it was Lizzie, and I had a great many hours of debate with my husband after finishing the book as to if he thought she was guilty or not - he maintains it wasn't her. The argument rages on. 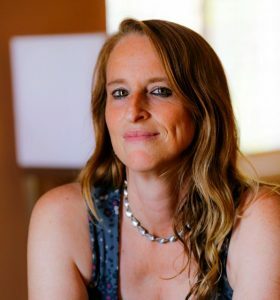 I'm with Bridget, in the sense that she was acquitted by a jury of men who just did not believe a woman was capable of such rage and violence. What happened on that unbearably hot day that the murders took place had been building up like a pressure cooker for years. Why could Lizzie not take what she saw as rightfully hers? All that was standing in the way were Andrew and Abby, and I do believe she thought she was smart enough to fool the police, and town into thinking there was no way she was involved. Mailman's Lizzie is an uncomfortable bedfellow who stayed with me for a few nights since finishing the book, and I was very glad to see the back of Lizzie Borden once I had written this review.